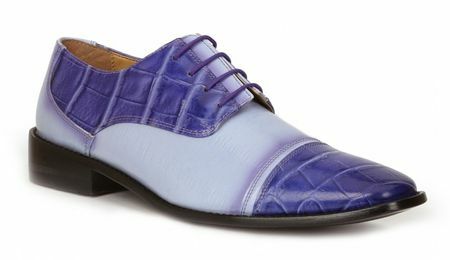 Make some waves quick when you wear GQ style mens purple alligator texture dress shoes by Giorgio Brutini. These fancy mens purple dress shoes features an alligator style print and are nothing but GQ style for the man who knows how to dress. Featuring a cap toe style that really know how to turn heads.